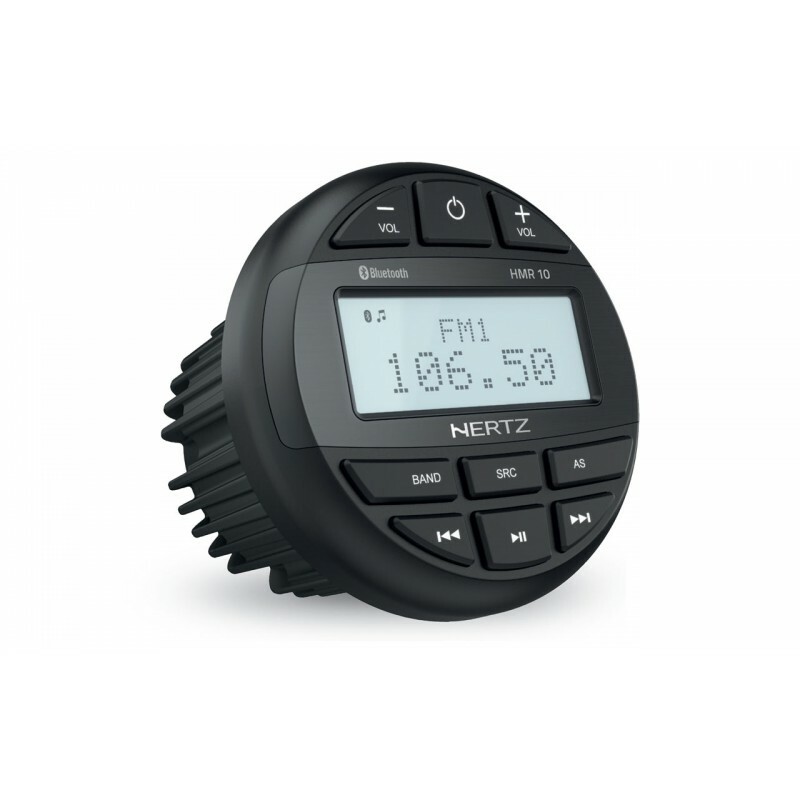 HMR 10 is ideal for boat enthusiast who want a great sound on board with a reduced gauge installation. With two pairs of high quality stereo outputs, a screen readable at all times and a generous marine-grade control panel, it will be a breeze to control your favorite playlist on USB or Bluetooth© streaming for maximum fun in water. 4. Wide range of media playbacks including Bluetooth streaming and control, USB playback and analog AUX IN. 5. Equalizer featuring 3 presets (CLASSIC / POP / ROCK). 7. Fits in Gauge Opening.